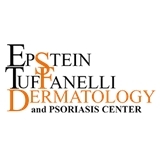 Epstein Tuffanelli Dermatology & Psoriasis Center (San Francisco) - Book Appointment Online! Classic Dermatology SF, also known as Epstein and Tuffanelli, is proudly approaching the eightieth anniversary of our practice at 450 Sutter Street in San Francisco. The founders of our practice set a standard of excellence for the private practice of dermatology in San Francisco, and three generations later this tradition of excellence continues. Our mission is to provide patients with the highest level of clinical expertise in a professional, compassionate manner. Our dermatologists embrace the diversity that the great city of San Francisco has to offer, and we proudly treat all skin types, skin tones, and the entire spectrum of dermatologic needs. Whether you require the removal of cancerous skin cells to improve your health or a simple cosmetic procedure to improve your appearance and self-confidence, we have the experience and expertise to deliver the results you desire.